Indra // Joan Marc LL. A. Junior programmer in industry & consumer goods department since December 2013. 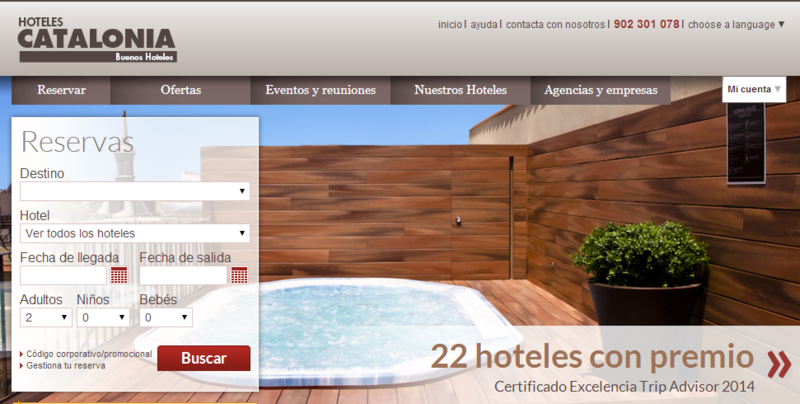 Working in different projects as Hoteles Catalonia, NH Hotels & IESE. Responsible of the upselling section. It is offered to the costumer, room or meal plan upgrades or the possibility to buy flowers, massages or other services once the reservation has been done. Working on different sections: modify/cancel your reservation, book halls with custom preferences and notify NH about a best price found in another site.